People in Pain Network - People in Pain Network: learn how to manage your pain. Fundraising time at the People in Pain Network. Please help us continue to provide education and support to millions of Canadians with persistent pain by clicking on the ​fundraising button below and making a donation. Just think if every Canadian with persistent pain donated $1 we could raise $7,000,000. Meeting are in Berwick, NS. Here’s the recording of our recent webinar with Dr. Serena Patterson where she describes her 10 Step approach to living with chronic pain. ​Tapping into the wisdom path of chronic pain is the goal of a new 10-step program being developed by local psychologist Dr. Serena Patterson. Beginning with “Stop Apologizing”, Dr. Patterson leads pain clients through steps to decrease shame, grieve for what is lost, communicate clearly about pain, understand how pain works in the body, build a “what works” list, and embrace a pain-informed spirituality of simplicity, beauty, gratitude, and kindness. Opportunity for people living with pain to educate themselves on effective pain management. Our pain documentation packages can assist you in communicating with your medical provider and also help you identify where you self manage your pain. Click on the "Pain Documents" button to access the documentation. The People in Pain Network is pleased to share our vision and mission statements. An enhanced quality of life for people and their families living with persistent pain through self-management programs and peer support. 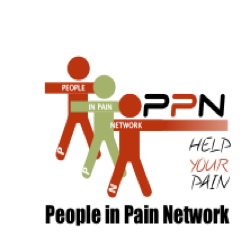 People in Pain Network is a non-profit organization that promotes well-being for people living in persistent pain and those who care about them, by strengthening self-management programs, access to resources, and community support. Pain documents instructions file provides examples of how to fill out the forms and some words of advice. Pain documents file contains the suggested forms to use when communicating with your healthcare professional. This public forum, entitled "Accepting Your Chronic Illness: The Thrill of Victory or the Agony of Defeat", took place in Moncton, New Brunswick, on Feb 3, 2014. The fundamental component that determines our emotional response to living with chronic illness. The biggest influence on the long term outcomes of how we learn to live with chronic pain. Pete Moore talks about the development of the Pain ToolKit for the United Kingdom. The People in Pain Network has been working closely with Pete in the development of the Canadian Pain ToolKit. We are pleased to offer you the opportunity to view the outline of the Pain Toolkit (Canadian) for people living with pain. The first section has been launched and is available to members of the People in Pain Network. The People in Pain Network believe that self management plays a major role in improving the quality of life for people living in pain. The soon to be launched pain toolkit provides you with the tools to help you on your journey to self management of your pain. Give our weekly newspaper a read, its free and brings a weeks worth of news to you in one place. Click here.... do not forget to subscribe to the newspaper so you do not miss out on the news. Chick here to listen to our Mindful Body meditation audio presented by Dr. Patrick Myers.